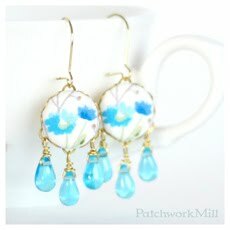 On the 23th of this month, I have opened my little shop on Etsy. I constantly keep uploading my work, so if you feel like it, come and take a look around! I do the prewashing of the full fabric in one large plastic basin in 45-50 º Celsius (113-122 º Fahrenheit) water using very little mild soap. I don’t put too many fabrics in the basin so they don’t instantly cool the water down. I always open the fabric completely before placing it in the basin, because any fold is likely to develop an abrasion line during the prewash. I have them cool off in the water. I gently squeeze the water out of them and spread them out to dry (not on the sun!). If I want to prewash a long fabric, that simply doesn’t fit into my basin I use the washing machine on a very gentle programme. 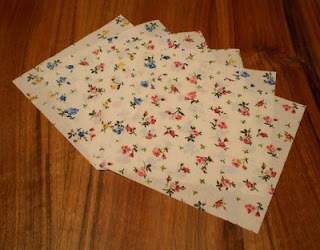 I use the spin dryer in a similarly gentle way, then spread the fabric out to dry. It’s a good idea to sew the fabric together at 2-3 cm (about 1 inch) from the two cut edges, so it won’t turn into an unmanageable sea snake. There is a recommendation to quilters iron the fabric right after, but there is no way that I iron and fold up such huge fabrics. So I always iron just that I actually need right before the work. And this way that fabric stays smooth. I used to keep these big fabrics in full on the shelves, but it started to become a bit hard to manage them, and they also took up way too much space. So I cut off about a meter (about one yard) long out of each one (it would be a lot of trouble to work with pieces bigger than that anyway), so they all fit in one place, arranged by colors. So I never forget about them anymore (it had happened before). This small open cupboard with shelves for the fabrics was made by my lovely husband. 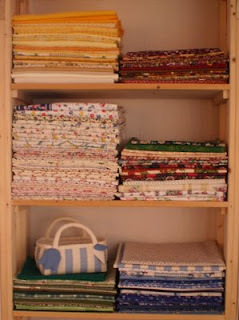 Writing a blog is good, because knowing that I would like to take a picture of a part of my fabrics on the shelves sometime later made me keep organized, waiting for a sunny day. I hope this order will finally stay that way later on too. Minyike asked before in a comment how I do the prewash. The answer would be too lengthy for a comment, so thats why I made a post for it. Cotton of course needs to be prewashed, because they always shrink when we wash them (and not in the same way!). In the other hand prewashing also helps by washing out potentially harmful dyes and chemicals. I start with a test for color bleeding. 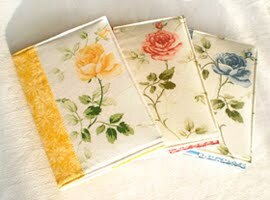 There are some suspicious fabrics: the dark, saturated colors and lower quality fabrics are especially likely to bleed. At first I soak a small piece of the fabric in warm, soapy water. After about 30 minutes, I remove the fabric and check for color in the water. If I see colored water, it means the fabric has bled some of its dye. So I add a dash of salt and about ¼ cup of white vinegar in a pan of cold water, and soak the fabric for about 20 minutes. After soaking, I test the fabric in warm water again. If the water still gets colored I would rather not use that fabric. If the water was clear, I lay the fabric to dry on a white paper towel. If the towel is still clean after the fabric dries, the fabric is safe to use. 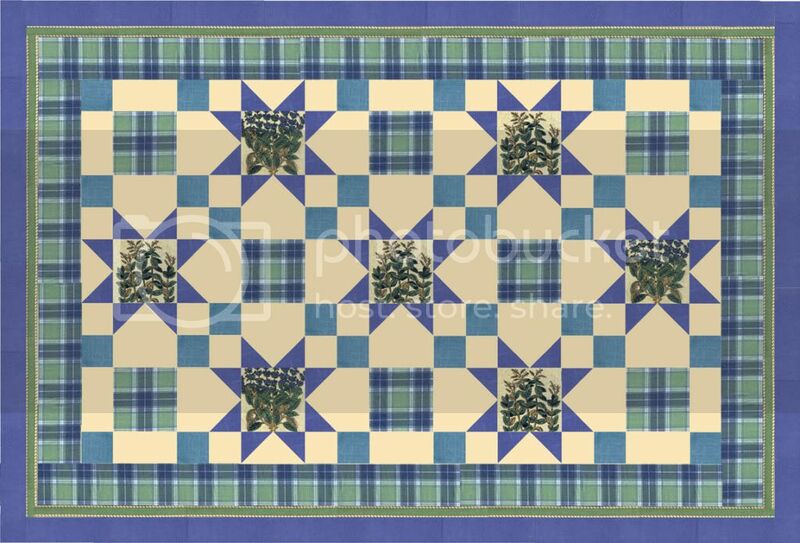 I know this seems like a real hassle (and it is), but I rather fight with the fabrics in such a case than have a finished quilt go to waste. My intention is to continue this post soon. 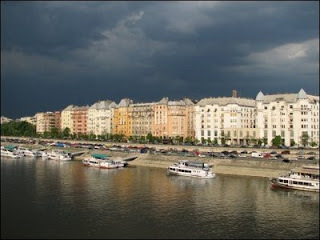 I couldn’t take usable photos of the prewash, so there are two photos of Budapest, Hungary for you. 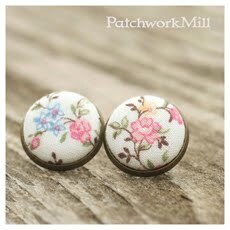 These pictures were not taken by me, they come from Myreille’s blog, but I really like her photos. To tell you the truth I like the World when I see it with her eyes. This short post was written because Matyofej previously asked in a comment about the Tex-Mex hat. So, this is the “famous” hat, that my husband is wearing keenly since we came home – from Autumn to Spring. 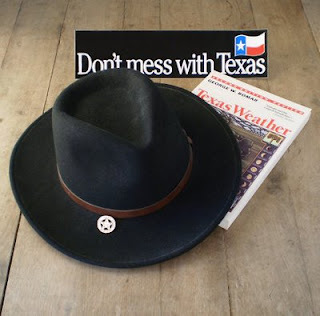 As far as I know (as a Hungarian woman), it is called Tex-Mex because it isn’t really a Texas-hat (like the “Stetson”), its form was rather influenced by being close to Mexico. I would appreciate it if somebody would check my knowledge about the matter. Please, make a comment. Well, about Biloxi. The year was 2000, my husband went to study in the USA, first to San Antonio, Texas for 3 months, then he moved to Biloxi, Mississippi. Our son and I joined him soon after. 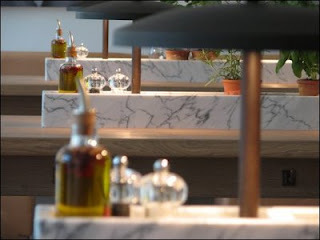 The traveling itself was a huge adventure for us, with multiple transfers, and a big run all over the Zurich Airport, the kind you see in movies. We spend hours waiting there for our next flight, so we took a walk at the airport and look around. Then as we were sitting on a comfortable bench, I noticed (pretty late) the handwriting on our boarding card, which stated that we had to check in 3 hours before our flight, hence the running! By the way after the big run and spending some time filling of a long questionnaire we had to sit for another 3 hours in the transit lounge. We traveled from East to West for 19 hours, following the sun around the globe, so we didn’t get to sleep the whole time. Our last landing was Gulfport. By the time we arrived with our small plane it already got dark. After Atlanta’s huge airport it was a bit strange to just walk over to the building where my husband was already waiting for us, in a check shirt and a “Tex-Mex” hat (these, and his strange accent did that a security guard thought he was an Australian ☺). 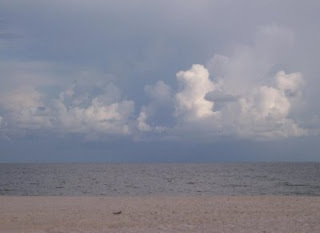 We have spent two and a half months in Biloxi, and we really enjoyed our time there. Our flat was in an apartment building near the shore, and if you think about that Hungary has no sea, you may understand how wonderful it was to step out the door in the morning to just admire at the endless ocean. If you don’t mind I would like to make more posts about this lovely small town of Mississippi, and our adventures there, because even though it sadly didn’t last long enough, it became a very important part of our lives. We have a very good friend, who is a cartographer and runs his own firm. 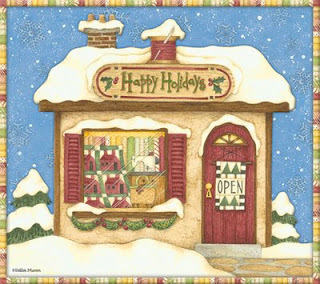 With the coming Christmas season closing he started thinking what kind of presents he could give his business partners. As he told me most usual formal gifts are all the same and a bit boring as well. He wanted something special, memorable, something that resembles him and his firm, but is also practical. In addition his partners are mostly men. So on his request I started planning the coasters, that he could give as a present, with a bottle of fine wine. We talked about what kind of symbols are typical in cartography. His firm’s logo is a table globe, but that is too complicated to look good on a coaster. Then he got the idea of the compass, which is found on every map (even the really old ones). 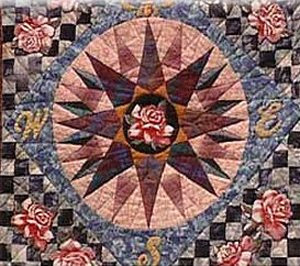 I think this is very exciting, since one of the most famous, most versatile quilt block is the “Mariner’s Compass”. Bbbut. 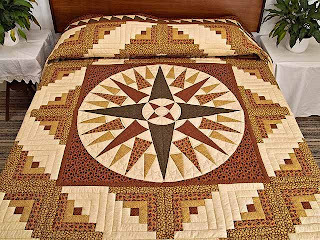 As soon as I started to deal with this block thoughtfully, I realized there is a reason why they make large center for “medallion” style quilts from it, or king-size quilts that are made of big mariner’s compass blocks. 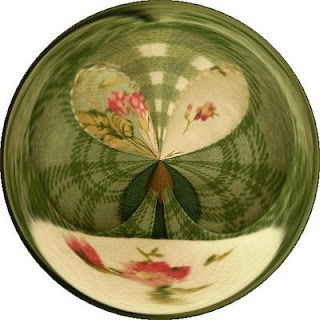 Just try to imagine this pattern on a 4” x 4” coaster! See what I mean? What can I do? 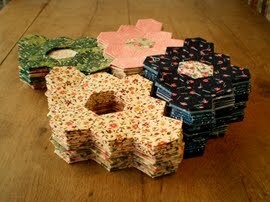 I am sure I can’t sew a so beautiful but so complicated pattern on 4” x 4” (not to mention to make them in 6 piece sets!). Okay, so I have to “cheat”. 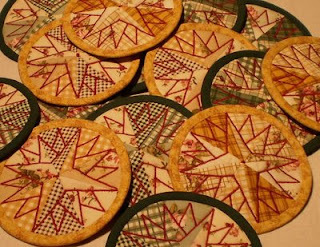 And that’s how I found the answer: Circular coaster made of 8 slices (4-4 different fabrics), that I embroidered the compass’ main lines with strong red. 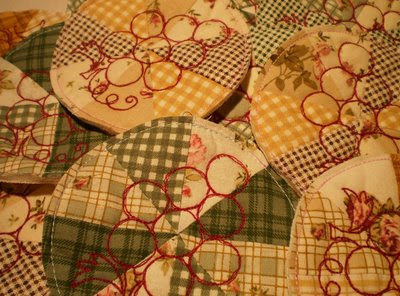 With this I already quilted the coaster and I only had to sew on the backing then to sew the binding. I never bound like this, constantly in a circle, but thanks to my bias binding I could manage good and easy. 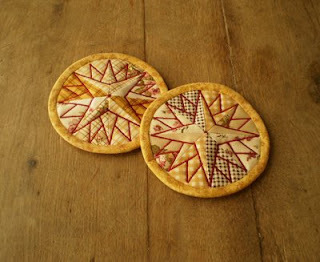 It cuddled up to backing perfectly, so it was very easy to finish the coaster with blindstitching by my hand. On the back I sewed a label with his firm’s logo instead of my own. Luckily my “customer”, our cartographer friend liked it, he couldn’t even decide between the two (Cozy Brown and Green Garden) colors, so he requested two sets from each serial. I hope the receivers will appreciate – and use – this unique present as well. Oh, right. Because this compass shouldn’t be only for cartographers or sailors (by the way I will create the whole thing in blue colors too, for sailors’ own sake), I will a few sets available in my Etsy shop as well! As I have written in the introduction, I believe it is very important, that the things we use be not just practical but fine looking as well. 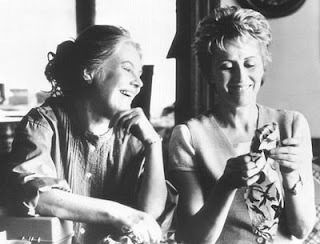 We surround ourselves with so many things, and we need so many more to stay alive (“It's my industrial strength hair dryer, and I can't live without it!” – do you remember which movie had this quote in it?). So if that’s how it is, we should at least have good looking things, that have a nice touch, right? 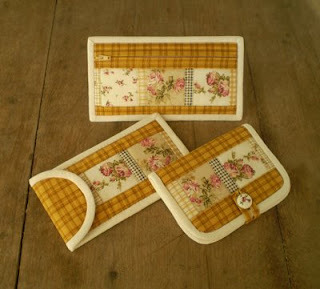 My first tissue holder was made for my husband in a great hurry, when he got cold and after some time I got full of the ripped up small plastic bags overflowing our home. And what is more you couldn’t even close those bags properly. This first dear clod-hopping tissue holder since has been become a bit overwashed, and though I made him a newer one, that is looking better and more elegant, his favorite is still that good old one. 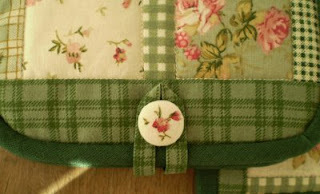 I love the way how numerous fabrics may meet even on a small thing like this holder. 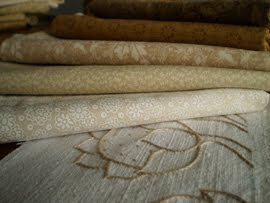 I enjoy sorting together my fabrics for new works. It is interesting how some fabrics instantly get your attention the minute you look at them, but some other humbly hide in the background only to shine up when the matching fabrics are put next to them. It is a good game. Of course there are technological needs for games like this. We can only play so freely that if we don’t have to worry about the fabrics’ conditions. There are two things I do from the start for that reason. 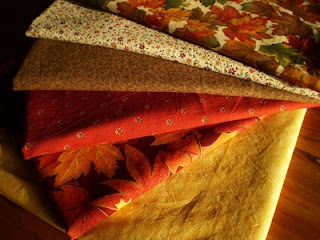 Firstly I only purchase 100% cotton fabrics, so I don’t have to worry about what the iron might do with the mixed compounded fabrics. Secondly I instantly prewash everything I buy, so I don’t have to carry about the finished product shrinking or deforming. And because I do this right after the purchase, I don’t have to think about any fabric later on, whether I did prewash or not (it happened once at the very start, so I have some fabrics that are prewashed twice, just to be sure). 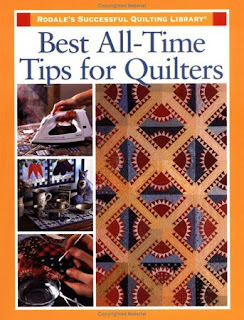 I have a very good book from which I have learned a lot, we bought it in the USA: Best All-Time Tips for Quilters (editor: Ellen Pahl). It has a lot of good advices about the handling of fabrics, ironing, timesaving techniques and tools, and so much more. While I am constructing this blog, I started taking photos of my finished works. 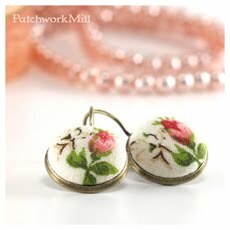 I am preparing for Etsy, I hope soon I will be opening my little shop there. We have a very old table that was made by my husband’s grandfather. It is a strong, massive piece of furniture. 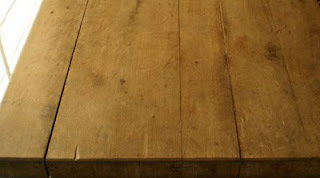 I like very much that it is a bit worn, shabby and it has deep cracks. All of these tell us something about the past and how it was used regularly. 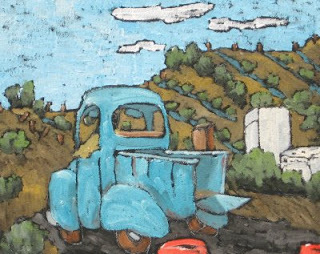 A piece of a family’s history. 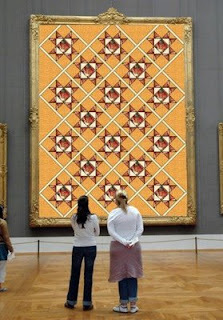 I think this is the perfect background for my quilts that made by traditional way and in every case finished by hand . After a lot of attempts, I discovered, that the most beautiful, and – even more importantly – the most color true photos can be taken at our terrace in strong sunlight, but with the shield of a beige loose fabric. 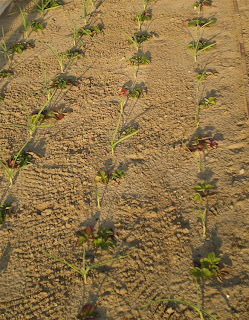 This also gives me opportunity to take photos of other stuff as well: my blooming oleander, our strawberry plantation (the green spears among the strawberries are garlic, that were planted there to protect the strawberries, though garlic seemed to misunderstand this nice and sunny October), or my son as he is playing with the water drops while watering (the originally linked picture failed in the family censure process, so I had to replace it). I am trying to take photos of my quilt from every angle. I know how people like to touch and feel these soft fabrics, but in an Internet shop you only get to see them. In the blog’s header is a part of one of these photos, about one of my wallets, because I like the little button that you use to close it. 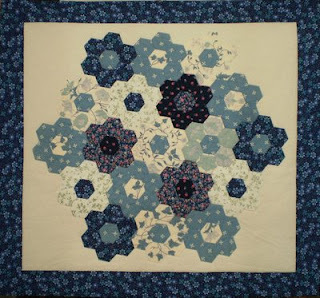 My first quilting work has not been finished yet. 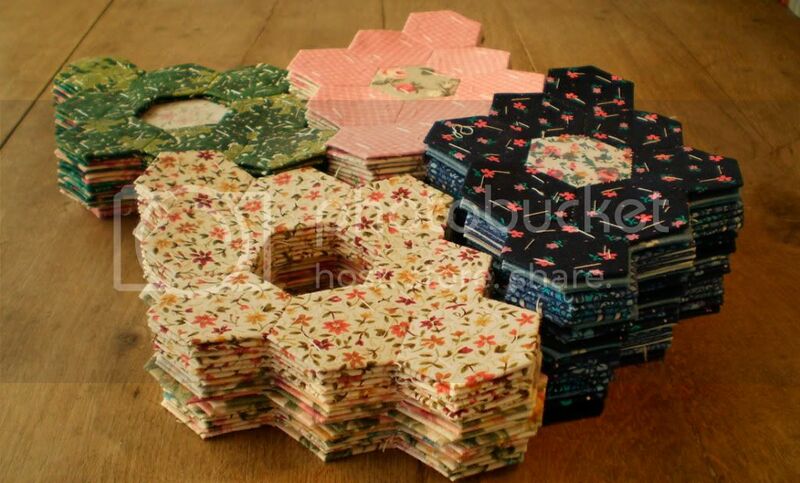 I always liked challenges, so what else could I have started after reading my first quilt book, than a huge “Grandmother’s Flower Garden” king-size quilt? We were on a vacation at the beautiful Lake Tisza in 1998 with some friends and a bunch of kids. We all had a great time. I started to make and sew together the first hexagons in those delightful summer evenings. The kids liked them so much, that they joined me in the work (the boys too, including my son). 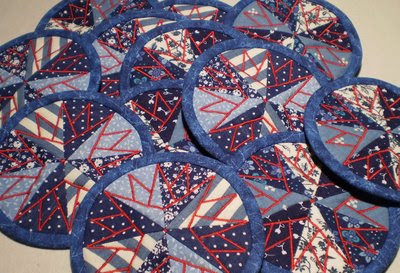 I have kept these patches, and – even though I am quite the perfectionist, and kids’ stitches were far from uniform, rather the opposite – but I am sure that those patches will be part of the final quilt. I hope it will be finished some day so I can show it to everyone. 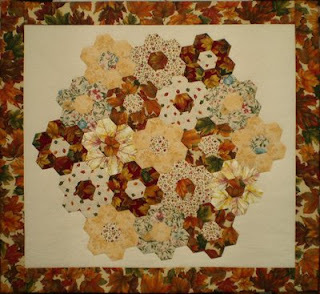 My “Grandmother’s Flower Garden” king-size quilt’s design was constantly changing, as time went by. The biggest disaster for my family was in the first week of our one year spent in Naples (Italy), when our house got robbed. Which had quite the effect on my quilt, since a huge (HUGE) suitcase full of beautiful American quilt fabrics, which I collected in the USA (and made a great effort to bring them home with us, casting out everything else to fit in our suitcases) taken by bad guys. 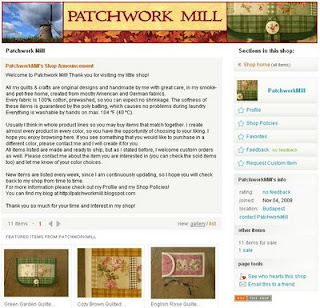 To tell you the truth for some time I thought I would never be able to look at fabrics again, since they stole not only my fabrics, but the joy of working with them as well. And then my sweet husband told me that I shouldn’t grieve about it, he would buy me new fabrics, even better looking ones, than before. 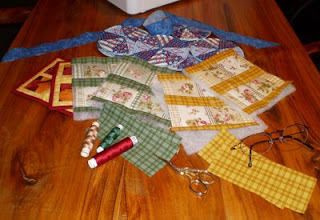 And soon after in Naples I have started a new project as a therapy: I created 4 wall hangings (Spring, Summer, Autumn, Winter) from the small pieces of sample fabrics remained after the robbery (I have kept the samples in a different box) and from some blocks of the “Grandmother’s Flower Garden” quilt. 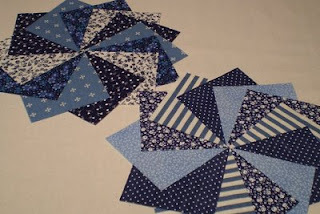 I am still looking for the matching fabric to create the border for Spring, but the rest of them are complete. 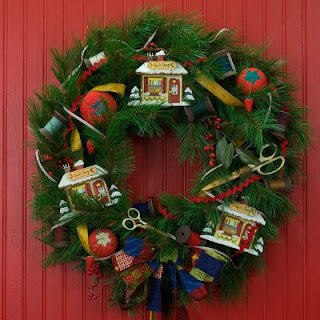 I think it is quite an undertaking to start and then operate a good blog. After you open it there is the first impression, then a good blog should be pretty and be well arranged, and finally it comes the main point: it should be filled up with content which is important for me and what is more interesting and could be useful for others. 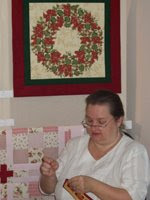 I make quilts and this is my work and my hobby as well. 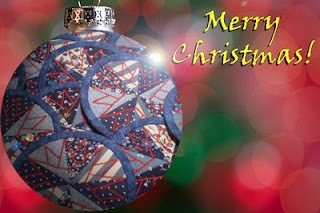 So I will write mainly about quilts in my blog. I work at home so naturally my posts will inevitably contain materials of our family, our building the house, cooking and every similar “delicacies”. Just as it should be. 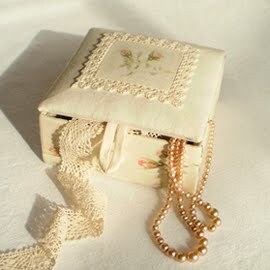 I would like to record memories concerning some special fabrics – before they are lost forever. 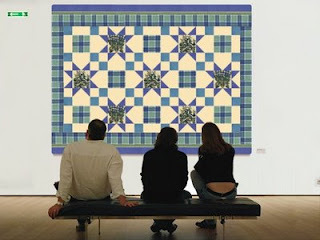 Maybe you agree with me that quilting is this kind of interesting thing. 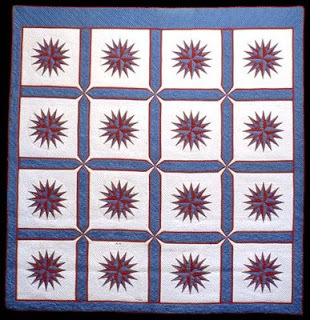 The movie “How to Make an American Quilt” is full of little episodes in which the quilters remember important events of their life, or just a moment, or a smile in the sunshine based on small pieces of fabrics. I found this really memorable photo from it. I also have many fabrics that remind me of great memories such as a delightful city, a chance meeting or laughing together with a lovely assistant in a nice fabric shop. I am Hungarian, so English is not my mother tongue. 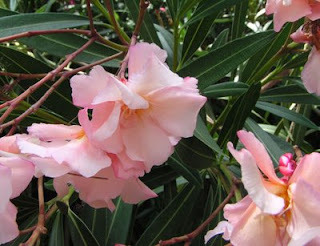 I am trying very hard to write in a decent way in English, with the least possible mistakes. I can not achieve that constantly though, so please be patient. I hope you will be able to understand what I am trying to say.